^ McConnell, Malcolm. Challenger: A Major Malfunction, pages 150–153. ^ McConnell, Malcolm. Challenger: A Major Malfunction, page 154. ^ Feynman, Richard. What Do You Care What Other People Think. pp. 165–166. ^ a b c d Photo and TV Analysis Team Report (1986年). Space Shuttle Challenger Accident Investigation. 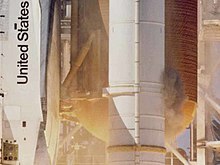 STS-51L Data and Analysis Task Force. ^ Lewis, Richard S. (1988). Challenger: The Final Voyage. Columbia University Press. pp. 16. ISBN 023106490X. ^ Mullane, Mike (2006). Riding Rockets: The Outrageous Tales of a Space Shuttle Astronaut. Simon and Schuster. pp. 245. ISBN 9780743276825. http://books.google.com/books?id=8X7ceB3QEWkC&lpg=PP1&pg=PA245#v=onepage&q=&f=false. ^ Ronald Reagan Presidential Library, Address to the nation on the Challenger disaster. Retrieved on July 4, 2006. ^ Jensen, Claus, No Downlink, p. 17. ^ a b c "When a Community Weeps: Case Studies in Group Survivorship—Google Books Result" (page 29 of book), by Ellen Zinner, Mary Beth Williams, 1999, Psychology Press, p.29, webpage: Books-Google-ID-id=8DuhIv8U11oC&pg=PA29. 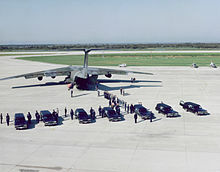 ^ a b Bernard Weintraub, "Reagan Pays Tribute to 'Our 7 Challenger Heroes'" (article), New York Times, 1-Feb-1986, page AI. ^ CNN.com (1996), Shuttle Challenger debris washes up on shore. Retrieved on July 4, 2006. ^ a b c Harwood, William (1986年). “Voyage Into History; Chapter Six: The Reaction”. 2006年5月4日時点のオリジナルよりアーカイブ。2010年4月7日閲覧。 Archived by the Internet Archive on 2006-05-04. ^ See, for example, New Orleans Times-Picayune, January 29, 1986, p. 1. ^ Feynman, Richard P. (1988,文庫版:2001/01/16). 困ります、ファインマンさん. 東京: 岩波書店. ISBN 4-00-603029-0. ^ Feynman, Richard P. (1986). Appendix F- Personal Observations on the reliability of the Shuttle. Rogers Commission. http://science.ksc.nasa.gov/shuttle/missions/51-l/docs/rogers-commission/Appendix-F.txt 2010年6月17日閲覧。. ^ U.S House Committee on Science and Technology (1986年10月29日). 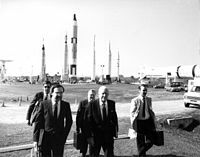 “Investigation of the Challenger Accident; Report of the Committee on Science and Technology, House of Representatives. (PDF)”. US Government Printing Office. 2006年9月26日時点のオリジナルよりアーカイブ。2010年4月9日閲覧。 , pp. 4-5. ^ Jensen, Claus. No Downlink, p. 355. ^ Riffe, Daniel; James Glen Stoval (Autumn 1989). “Diffusion of News of Shuttle Disaster: What Role for Emotional Response?”. Journalism Quarterly (Association for education in journalism and mass communication): 552. ^ a b Wright, John C.; Dale Kunkel; Marites Pinon; Aletha C. Huston (Spring 1989). “How Children Reacted to Televised Coverage of the Space Shuttle Disaster”. Journal of Communication 39 (2): 27. doi:10.1111/j.1460-2466.1989.tb01027.x. ^ Andrews, Gordon C.; & John D. Kemper (1999). Canadian Professional Engineering Practice and Ethics (2nd editions ed.). Toronto: Harcourt Canada. pp. 255-259. ISBN 0-7747-3501-5. ^ Edward Tufte. (1997) Visual Explanations, ISBN 0-9613921-2-6, Chapter 2. CNN.com（1996）, Shuttle Challenger debris washes up on shore. Retrieved on July 4, 2006. Feynman, Richard P. with Ralph Leighton, What Do You Care What Other People Think? Further Adventures of a Curious Character, hardcover 256 pages, Publisher: W W Norton & Co Ltd（7-Dec-1988）, ISBN 0393026590, ISBN 978-0393026597, or paperback 256 pages, Publisher: Bantam（October 1, 1989）, ISBN 0553347845, ISBN 978-0553347845, or paperback 256 pages, Publisher: W. W. Norton & Company（January 2001）, ISBN 0393320928, ISBN 978-0393320923. Greene, J.H., NASA Johnson Space Center Oral History Project Biographical Data Sheet. Harwood, William (1986年). “Voyage Into History; Chapter Six: The Reaction”. 2006年5月4日時点のオリジナルよりアーカイブ。2010年4月10日閲覧。 Archived by the Internet Archive on 2006-05-04. Jensen, Claus.（1996）No Downlink: A Dramatic Narrative about the Challenger Accident and Our Time. New York: Farrar, Straus, Giroux. ISBN 0-374-12036-6. McConnell, Malcolm.（1987）Challenger: A Major Malfunction. Garden City, NY: Doubleday. ISBN 0-385-23877-0. Photo and TV Analysis Team Report (1986年). Space Shuttle Challenger Accident Investigation. 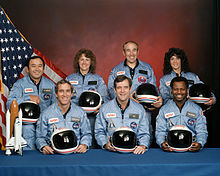 STS-51L Data and Analysis Task Force. Riffe, Daniel; James Glen Stoval (Autumn 1989). “Diffusion of News of Shuttle Disaster: What Role for Emotional Response?”. Journalism Quarterly (Association for education in journalism and mass communication). Tufte, Edward.（1997）Visual Explanations, ISBN 0-9613921-2-6. 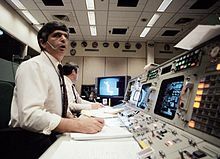 Vaughan, Diane.（1996）The Challenger Launch Decision: Risky Technology, Culture and Deviance at NASA. Chicago: University of Chicago Press. ISBN 0-226-85176-1. Wright, John C.; Dale Kunkel; Marites Pinon; Aletha C. Huston (Spring 1989). “How Children Reacted to Televised Coverage of the Space Shuttle Disaster”. Journal of Communication 39 (2).